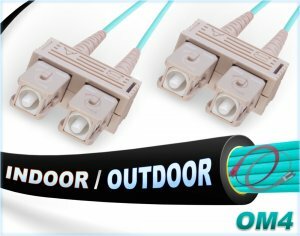 OM3 SC SC Indoor/Outdoor Duplex Fiber Optic Patch Cable, 10Gb Multimode 50/125 corning optical fiber cord (10Gb up to 300 meters). 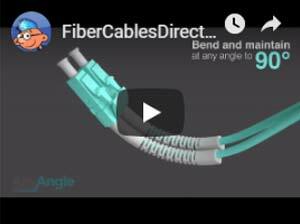 Tightly buffered in a flexible, black, indoor/outdoor, water & UV resistant jacket, this fiber assembly comes terminated with durable ceramic ferrule SC connectors (clips not included). 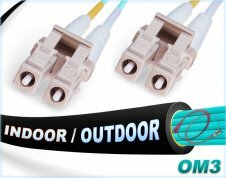 Each fiber breakout has 18" of 2.0mm furcation tubing for extra durability. 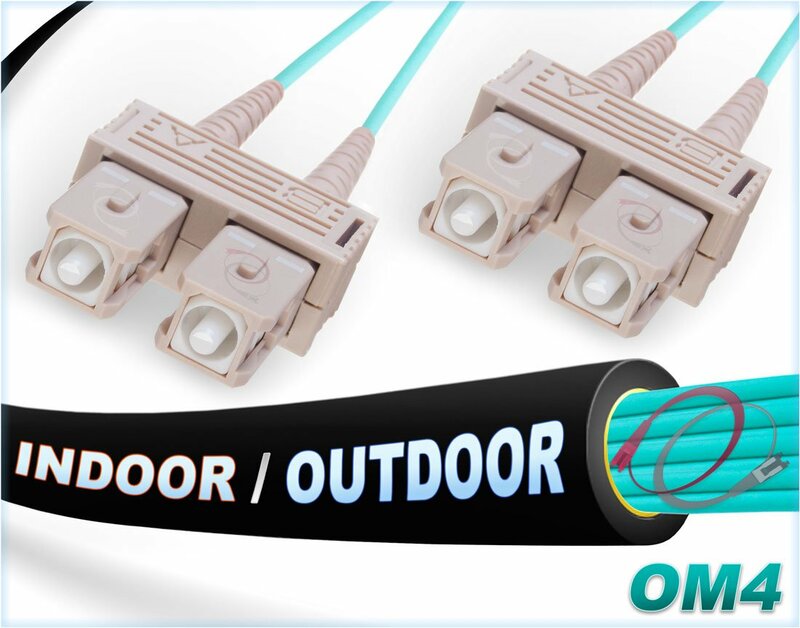 OM3 SC to SC 10Gb Indoor/Outdoor 50/125 Multimode Duplex fiber optic patch cable with Corning optical fiber. 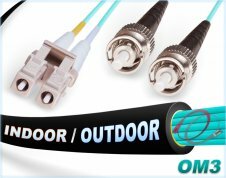 Our Indoor / Outdoor fiber optic cables have a black polyethylene (PE) outer jacket that protects against moisture and sunlight exposure. 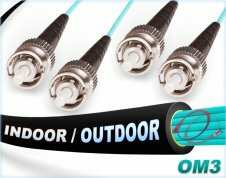 The tightly buffered PE layer protects the inner orange colored, 2.0mm thick diameter PVC jacket that's OFNR riser rated, UV resistant, and flame-retardant. 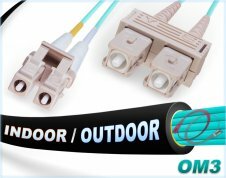 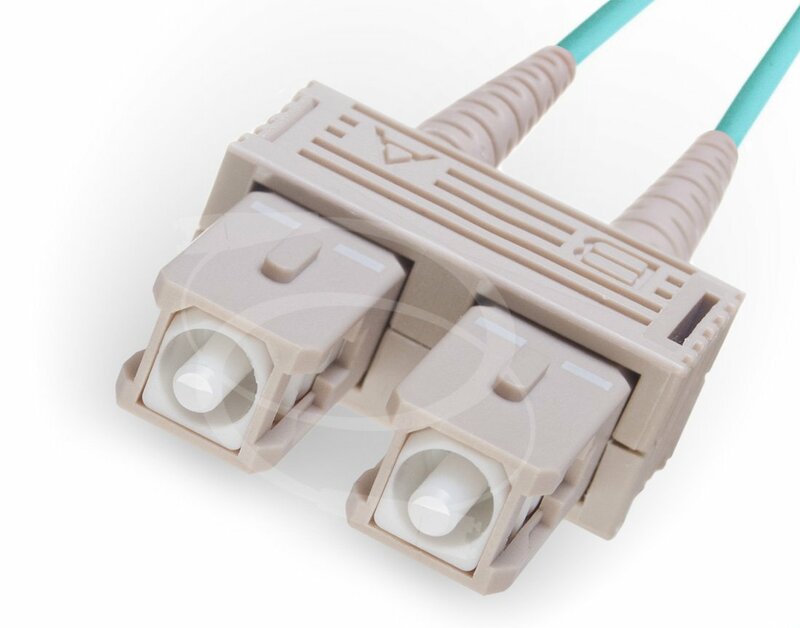 This Indoor/Outdoor fiber optic assembly has an operating temperature between -40°C and +85°C with 300 meter rated (10Gb/850nm) Corning optical fiber glass. 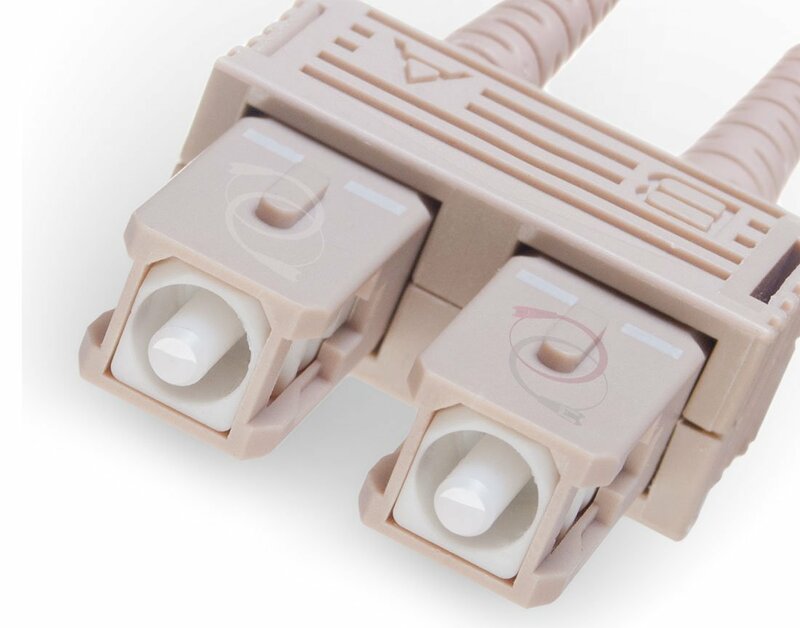 Each end has been terminated with quality ceramic SC connectors (duplex clips not included) for compact, high density cable environments. 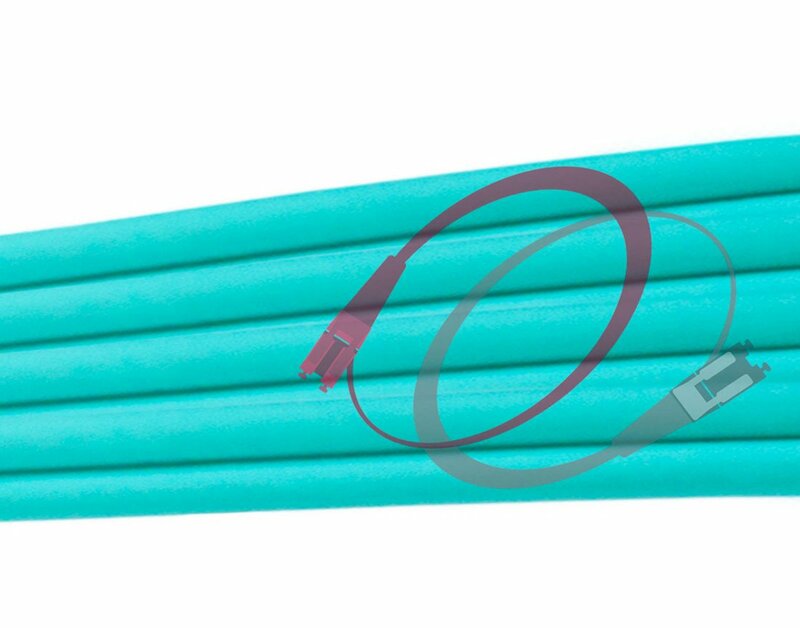 Each fiber breakout has 18" of 2.0mm blue/orange furcation tubing for extra durability. 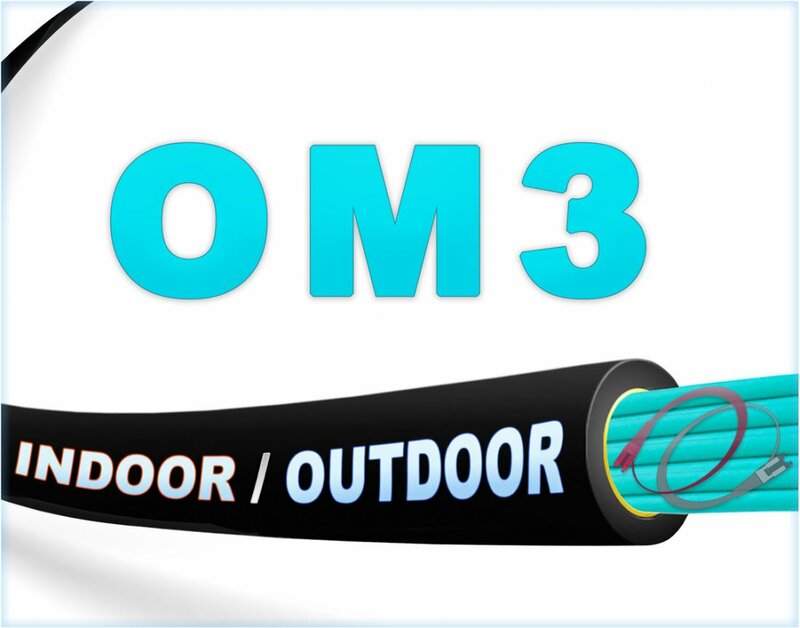 Lengths available in our online catalog for indoor/outdoor Om3 Sc-Sc 10Gb 50/125 multimode duplex: 0.5 Meter, 1 Meter, 2 Meter, 3 Meter, 4 Meter, 5 Meter, 6 Meter, 7 Meter, 8 Meter, 9 Meter, 10 Meter, 12 Meter, 15 Meter, 20 Meter, 25 Meter, 30 Meter, 35 Meter, 40 Meter, 45 Meter, 50 Meter, 55 Meter, 60 Meter, 65 Meter, 70 Meter, 75 Meter, 80 Meter, 85 Meter, 90 Meter, 95 Meter, 100 Meter, 125 Meter, 150 Meter, 200 Meter, 250 Meter, and 300 Meter.